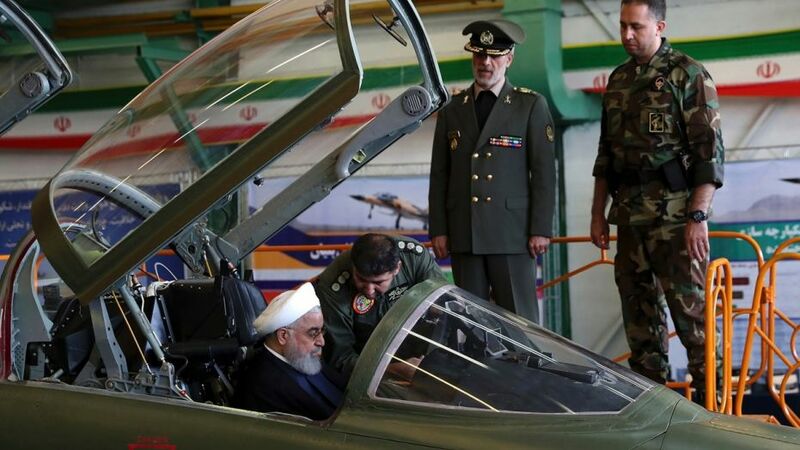 Iran unveils new Fourth-generation fighter jet name " Kowsar"
According to Iran a new fighter jet comes with advanced avionics and fire control systems and will enhance its deterrence capabilities in confronting Washington. At the ceremony, President Hassan Rouhani said Iran’s defense program is aimed at deterrence vis-a-vis the United States. President Hassan Rouhani saying that Tehran’s military strength was only designed to deter enemies and was aimed at creating “lasting peace”. Hatami said the defence programme was motivated by memories of the missile attacks Iran suffered during its eight-year war with Iraq in the 1980s, and by repeated threats from Israel and the United States that “all options are on the table” in dealing with Iran. 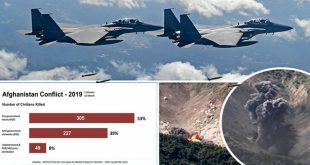 Next Will Quantum Radars make Stealth Fighter jets obsolete? Looks like a T 38 to me,Scarey..
Look closely…under the panels, you’ll find the Lockheed logo.